Summary: The Asus ROG Zephyrus S GX701 is a 17-inch laptop mostly meant for desk use, hooked up to a mouse, and potential buyers will primarily benefit from its smaller size and lighter weight when carrying it around. 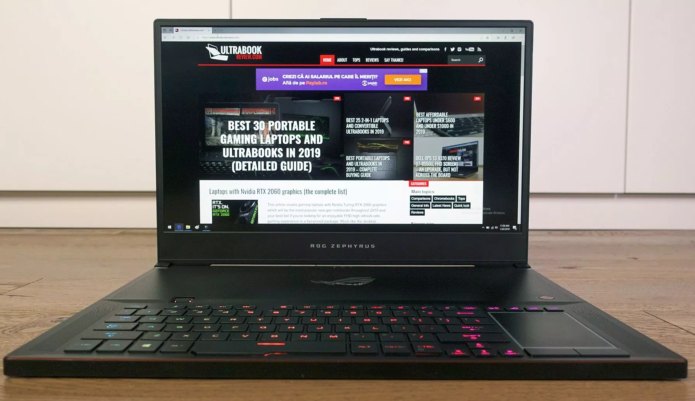 It’s nicely crafted, it types well, it gets a good-quality screen, punchy speakers and offers solid performance once tweaked, while on the other hand the impractical ergonomics when not on a desk and the potential short battery life might raise some concerns. We get in-depth on all these aspects in the review below.